Last week, Bruce Anderson shared information about break even points when it comes to spending money on nitrogen fertilizer for pastures. This week, we get some additional information to consider from Sid Bosworth, Extension Professor at the University of Vermont. conditions. For pasture, the decision to apply N becomes more complicated. Here are a few points to consider when making N fertilizer decisions. • A Management Tool – Think of N fertilizer as a short term management tool for producing temporary increases in pasture dry matter. N applied to grass usually shows an immediate response and then it is gone. For your farm, you may decide that you don’t need N at all or you only want to use it on certain acres for certain times of the year. 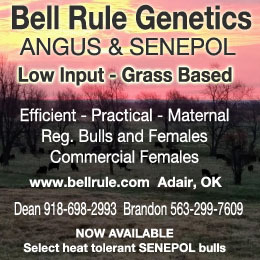 • Stocking rate – A farm should consider if they need the extra forage that will be produced by adding N fertilizer. Some farms have more land than their animals need and adding N would just add to the pasture waste. On the other hand, if the operation is stocked right at that point where most summer production becomes limiting then N fertility may be an option to increase forage dry matter. Here is birdsfoot trefoil (lotus corniculatus) broken down into parts so you can identify it. investment in N fertilizer which only has a short term effect. The difficulty is that N fertilizer shows an immediate effect, whereas, lime is much more subtle. • Application Rate – Total seasonal N applications can range from 50 to 150 lbs. N per acre per year. However, N should be applied in split applications over the season with a single application rate of no more than 50 lbs. N per acre. This rate will usually provide a good yield response and yet not be at a high enough rate to risk nitrate accumulation in the forage. The actual fertilizer rate will depend on the fertilizer formula. To apply 50 lbs. of N, divide by the % N in the formula. For instance, urea is 46-0-0; therefore, one would need to apply 109 lbs (50 divided by 0.46) to get 50 lbs. N per acre. • When to Apply N and When to Graze – If the pasture managed with rotational grazing, than the best growth response would occur at early regrowth just after the animals leave a paddock. For continuous pasture, it is recommended to split the applications at lower rates, perhaps 30 to 40 lbs. N, to reduce any risk of nitrate accumulation. • Early Spring Application – Applying N in early spring can boost early spring growth for earlier grazing. However, treating too many of acres can result in excess pasture by late May unless there is a plan to hay part of it. The best N response with spring applications is usually on well drained land. Appling N to wet soils increases the risk of denitrification which is a soil process that converts soil N to nitrous compounds which are vulnerable to volatilization and lost to the air. therefore, a 50 lb. rate could boost yields by 1000 lbs. per acre. With proper grazing management, this could potentially provide 30 to 35 additional grazing days per animal unit (1000 lb animal). However, N is not the answer to grass growth during dry years. 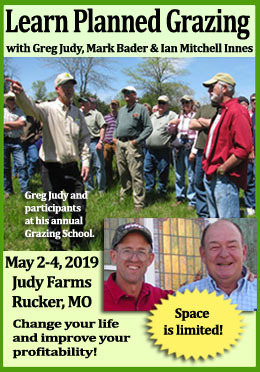 • Fall Stockpiling – Allowing certain pastures to accumulate growth in late summer and fall is a good way to “extend” the grazing season into late fall. 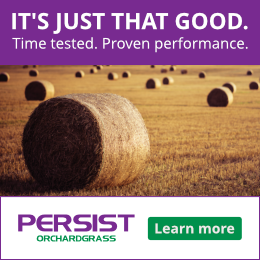 If your pasture is predominately orchardgrass or tall fescue, apply 60 lbs. of N per acre in early to mid-August and allow the forage to grow until October or November before grazing. If your pasture is mainly bluegrass, apply 40 to 50 lbs. N. To optimize stockpile yields, it is important to start the process by early to mid- August. In summary, nitrogen fertilizer is a tool that if used properly can help improve pasture productivity and utilization throughout the grazing season. Caution should be taken to avoid over application which can result in wasted forage, risks of nitrate accumulation and reduced profitability. Increasing legume content in pasture is another way to increase nitrogen fertility and improve the forage nutrient value of the pasture. Factors that would need to be evaluated to improve legume content would include grazing management, soil pH and soil phosphorus and potassium levels. I live in southern Wisconsin. A neighbor has a pasture and he put down 3 applications of nitrogen over 2 years and almost doubled his stocking rate. 5 years later it has not changed. The grass really filled in and became much thicker. I have just done things with manure and gradually built up my stocking rate. I have wondered many times over the years how much further ahead I would have been with 3 or 4 applications of 40 pounds of nitrogen per year per acre for 2 years. Allan Nation said keeping it under 40 pounds would not hurt the soil. Re: A $40 per acre investment in lime which promotes legume growth may be a better way of adding “N” to pasture compared to a $40 investment in N fertilizer which only has a short term effect. I wonder how many lbs./tons this is. I live in central B.C., far from any lime quarries and several years ago paid about $300/tonne. Yikes.